I was searching for images to post for #caturday and came across this story. It’s from 2010 but I thought it was worth sharing again–perfect for the theme of the day. Enjoy! 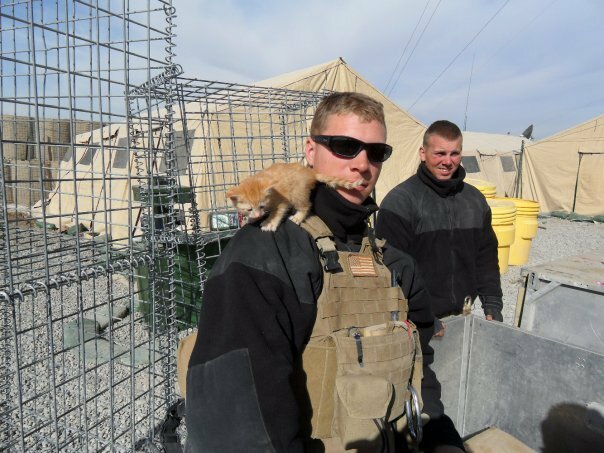 U.S. Marines Brian Chambers and Chris Berry started a mission to help bring home the kittens they have befriended while serving in Afghanistan.